Many prospective buyers think a home inspection and a home appraisal are the same thing. A professional comes to the property and walks through, writes a report. Sends them a bill. But the two are quite different. A property appraiser is only verifying the overall general condition of the home as it relates to determining fair market value of the property. Are there four bedrooms and three baths and is the home really the square footage that is listed; is the garage attached or detached? Then the appraiser compares that property to the other similar properties in the area that have sold recently and determines if the value is fair. A home inspector goes deep into the property. You might say gives it a bug's eye view. What is the condition of the property and are there any underlying safety issues needing immediate attention? All the major systems are inspected: roofing and exterior, drainage, heating and cooling, electrical, plumbing, interior, foundation, attic & ventilation. All are given a rating and issues, along with any recommendations, are included in a report. This gives the to-be-homeowner peace of mind when they decide to purchase a property or a current homeowner confidence in deciding to make further investments in their home. This peace of mind is invaluable. 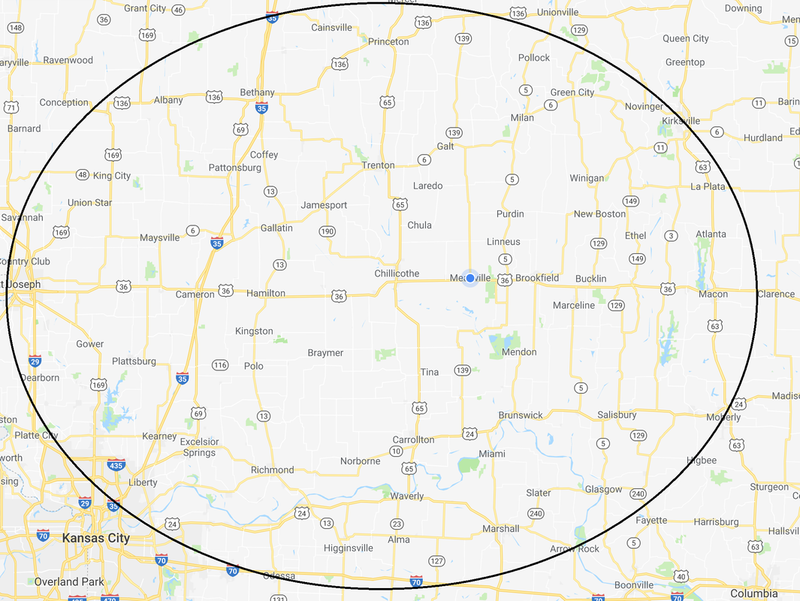 We proudly serve most of north central & northwest Missouri, including Chillicothe, Brookfield, Macon, Carrollton, Trenton, Cameron, and surrounding communities. Give us a call at 660.938.4022 to find out if we serve your area! Meneely Home Inspections LLC follows the strict guidelines of the InterNACHI Standards of Practice and Code of Ethics. You can access the Standards of Practice here and the Code of Ethics is available here.